Music © 2011 by Esther Mui. This is a wonderful blessing thank you so much from the botome of my heart .many blessing from our lord Yeshua . If possible, could you share that piano accompaniment music for the glory of God? 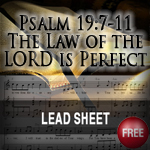 If possible, could you share the piano accompaniment for the glory of God? 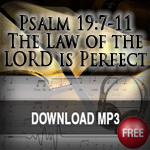 I love so much of your music, Esther, but this one -- The Law of the Lord -- is one of my very favorites. I pray God's abundant blessings on you and your family for your generous spirit of sharing so freely what the Lord has given you.